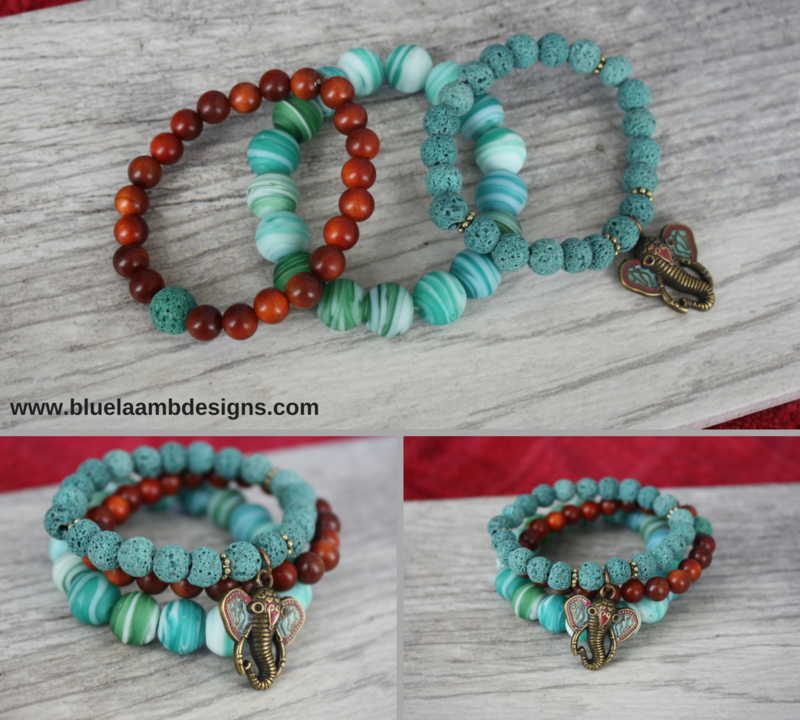 This bracelet stack is shows your love for elephants in a very stylish 3-bracelet stack. 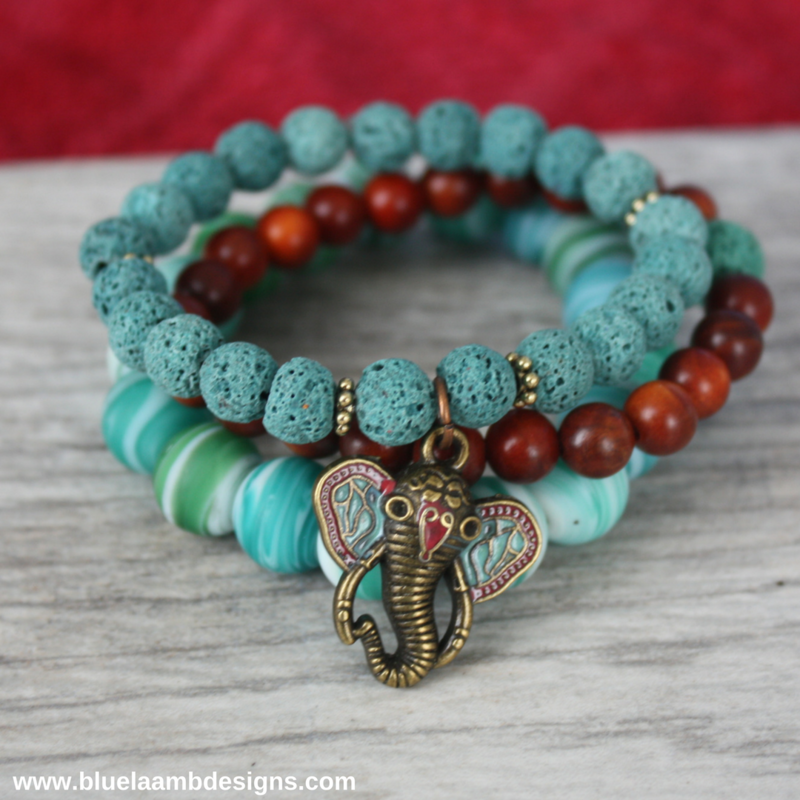 The copper and turquoise elephant charm hangs from greenish blue lava beads and then pared with sandstone beads and large blue green swirl beads. Together these bracelets truly make a style statement. Custom made to your size. 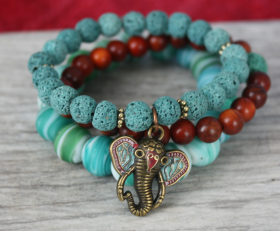 Categories: Animals, Beaded Bracelets, Bracelets, Yoga / Zen Life Bracelets, Yoga / Zen Life Jewelry.